On the Joys & Challenges of developing the Elthos RPG & Mythos Machine, and other sundry RPG matters. The morning was bright and cheerful, and all of the adventurer’s came out of their rooms healthy, well rested, and refreshed. All except Morgana, who though rosy cheeked and healthy, still showed signs of melancholy, nevertheless. Poor dear. She was still thinking of Mr. Montague who died for love of her. Juliette, presenting her most cheerful face to try to help lift Morgana’s spirits, was eager to leave the Temple of the Aphids and continue on their journey home. “Have you noticed that it’s spring now?”, asked Juliette looking out across the pine forest which no was longer covered in the heavy snows that it had been when they came to the tower the day before. A sense of trepidation was in her voice. “I wouldn’t be surprised if it is always spring here”, commented Storm Wizard absently, as though it might be perfectly normal. “I think we should go home now”, said Juliette quietly, almost to herself. “Well, if so, our arriving one day later isn’t going to make any difference will it?”, Storm Wizard countered. “Well, I can fly”, stated Storm Wizard triumphantly. “I can’t fly”, pointed out Ben. “Well, even so, he won’t see us at our current diminutive size, will he? I mean we’re all nestled up in a tiny crack in a stone wall on the highest point of the outside of his tower. We’re small enough for us to ride on the backs of aphids. I’m sure he’s not going to see us.”, Storm Wizard stated calmly. “Well, what if he can also shrink down to tiny-size, just like we did, and is hunting for us that way right now?”, Juliette persisted. “And, I’m sorry, but what was that about black seeds?”, asked Morgana. “Did you say something about them devouring your barn, and … parents?” She looked as though she only half believed what she heard. “And they didn’t devour the McFearson barn”, added Storm Wizard. “In for a penny in for a pound?”, offered Storm Wizard cheerfully. “Meow”, said Ember from Juliette’s lap. At that moment out from the corridor came the two aphid-men Tinkin and Kintin, leading the two large aphids packed with boxes on their backs. And to that everyone gave an eager reply, and so they all sat down in Ben’s room at the large wooden table at laid the board out. There was plenty of vegetable foods, and a kind of honey flavored milk, and fresh rose water, and it was all very tasty wonderfully nourishing. As they ate Storm Wizard struck up a conversation with their two Aphid Guides. “So I notice, if you don’t mind my saying so, that you two are human in appearance, and yet you seem to be one with the aphids. Is it the case that you are somehow aphids in the form of humans or something like that? Can you change form back and forth, and can all aphids change form as you do?”, he asked. “Yes, that’s a good way of putting it, I suppose, though others of the insect kingdom might disagree.”, says Tinkin with a sigh. “Like whom?” asked Storm Wizard. “Well who is top of the pile?”, asked Juliette. “Oh it was different long ago, before the Ladybugs came.”, said Tinkin enthusiastically. “What kind of things do they make you do?” asked Juliette. “They send us out across the plant kingdom to farm them of nectar, and we transport the nectar of the plants to the silos of the ants, and sometimes the Ladybugs come and devour us.”, he said with a shudder. “Oh my”, exclaimed Juliette quietly. “Aren’t the bees more capable of transporting the pollen and nectar around than you aphids?” she asked. “So you have green aphids, and your nobles that can turn into humans. Are there any other kinds of aphids?”, asked Storm Wizard chewing on a nice bit of salty bark. “No, we would say that each are different races, rather than classes. Each of our races has it’s own noble class. There are very few of us, aphid nobles left, you know. It’s supposed to be a great secret that we even exist at all. None of the other insects are supposed to know about us. We were all supposed to have been wiped out long ago, and nearly were, honestly,” said Kintin gazing out through an archway. “Killing your noble class would make your race easier to control, I take it”, Storm Wizard deduced. “Precisely. 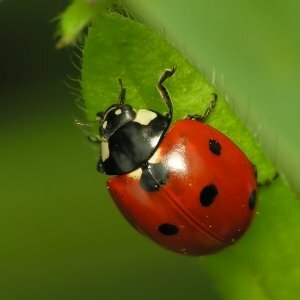 A great deal of wisdom was lost when the LadyBugs came”, said Tinkin ruefully. “The wise one, is he like you?”, asked Storm Wizard. And so the breakfast went on in this fashion until all of the food was gone, and all of the milk and rose water had been drunk and all that was left were empty bowls and pitchers. “I take it you will wish to be moving on soon?”, asked Tinkin. “We have some desire to remain here to learn more about your culture”, said Storm Wizard. “I’m wondering, is there anything we might be able to do to help you while we’re here?” asked Storm Wizard. “I’d be willing to stay to help, if there is something we could do that would help you”, agreed Juliette reluctantly. “Thank you”, said Juliette as Tinkin walked off toward the corridor that lead to the inner chambers of the stone block that housed the Temple of the Aphids. It was only a few minutes after he left when Ben and Morgana began to notice that a number of aphids, and then a crowd, and then a horde had begun climbing in through the archways and heading into the corridor that Tinkin had disappeared into. This commotion became quite intense as the aphids began to climb over one another to gain entrance to the corridor. The aphids were all abuzz with their clicking whirring speech, and it sounded like a great hum as the great churing mass of green bodies crawled into the corridor. Breathless, Kintin stood up and spoke to the companions in a grave tone. “What has happened? !” asked Juliette excitedly. “Who is it? !” asked Storm Wizard with a sense of foreboding. “It is the Ambassador of the Red Locusts." It was late at night when Storm Wizard heard a scratching rustling noise at his door. Throwing off his blanket he climbed down out of the soft mossy bed and quietly opened the large wooden door. 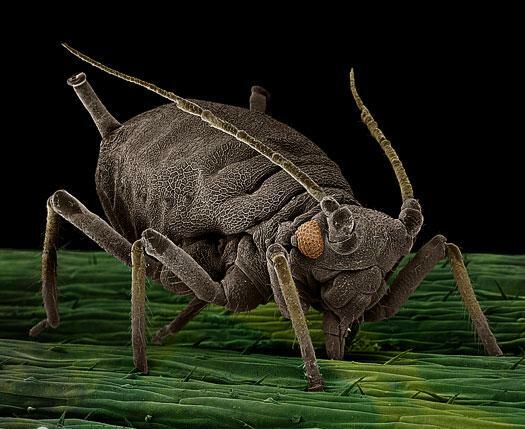 There before him, barely visible in the moonlight, was a black aphid, horrible to behold, just about as high at its shoulder as Storm Wizard was tall, which is to say, rather large. It bustled it’s way into the room making whirring clicking noises that Storm Wizard now knew was the aphid language, although he could not understand a word of it. 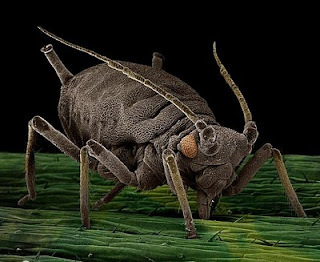 The aphid went directly to the night table and deposited on it a sheet of paper, and then without further ado, turned and bustled it’s way back out the door, across the colonnade, over the lip of the archway, and then crawled downward and out of site just as fast as that. Beyond the archway Storm Wizard could see the swaying tops of the pine trees of Black Wood Forest in the moonlight. A man of action, Storm Wizard stole out of his room and down the long colonnade toward the double doors at the far end. Earlier that evening there had been two aphids what stood on either side of them in a guard like fashion, but now they were nowhere to be seen, and the doors were slightly ajar. Opening them quietly Storm Wizard stared into the darkness of a long windowless corridor. He returned to find a torch, which he obtained from the provisions that Laraby had so thoughtfully insisted they acquire what seemed now a very long time ago. Brian, who had been porting the provisions, woke up briefly at Storm Wizard’s insistence, and pointed to where the bag lay, and without further questions or comment fell promptly back to sleep. Armed with a torch, Storm Wizard returned to the black corridor. Lighting it he found the corridor was about thirty feet long and ended in another set of double doors. Opening them he entered onto an even more lovely and wider colonnade than the one he left behind. The doors that lined this colonnade were taller, wider, and engraved with elaborate and beautiful designs, as were the pillars that separated the archways that looked out over the forest below. Before the first of the doors along the right hand wall there paced a young girl wearing a red scarf with black poke dots. She was a darling looking girl with large eyes, black hair, and adorable little dimples. When she saw Storm Wizard come through the doors she ran up to him with an anxious expression and insisted he put out the torch. Storm Wizard promptly put out the torch and indicated that he didn’t think anyone had. But of course, who could know who might have been watching from the forest? In any event, the young girl said that she was Lady Isabella’s handmaiden and that he should wait briefly while she went to let her Lady know that the Wizard had arrived. She slipped through the elaborately engraved door and Storm Wizard waited pensively outside. In a few moments the girl poked her head out and said that Lady Isabella was ready to see him now. Entering the suite Storm Wizard was immediately impressed with its size and luxury, which he expected from the quality of the door, but was still nevertheless surprised at the opulence before him. Golden goblets adorned a silver inlaid table, on which were bowls of fruits and carafes of wine. The chamber was lit by glowing orbs that looked like translucent shells in which candles where burning, and was scented by honey and spices. There at the table sat Isabella in her gorgeous red and black dotted dress, and next to her sat the dark haired warrior in his crisp blue uniform. They both stood and bowed, as Storm Wizard returned the graceful gesture. “Welcome, and thank you for coming,” said Lady Isabella. “May I ask why you have asked for me?”, inquired the blunt Wizard. “Why, yes, indeed, but first, allow us to offer you refreshments. Please be seated”, she said, giving a sideway glance to her man who immediately poured wine into the goblets. “No thank you, my Lady, I am not thirsty at the moment. But I am curious”, he said cautiously. “You were there?” he asked increadulously. “As I said, you probably don’t remember, but yes, I was. In fact, I landed briefly on your face, and you swatted me away.” She said with a certain subtle yet noticeable trace of indignant intonation. “But I forgive you for that”, she concluded after a slight pause. “Really. That’s a remarkable offer. And how would you do so?”, asked the young Wizard intrigued. “Very interesting”, said Storm Wizard. After brief pause while he mulled the offer over in his vastly prodigious mind, he agreed. “Excellent”, she said with a bright smile, and pulled a box out from a drawer in the table. In the box was a wax tablet, upon which she placed her right hand. “Please place your right hand next to mine”, she said. Storm Wizard did so, and as he did their pinky fingers touched lightly, giving him a strangely happy feeling, though all too brief and fleeting. “I agree” said Storm Wizard, and at that moment the wax seemed to glow briefly, and melt slightly, taking an imprint of their two hands. She quickly handed the wax tablet to her dark haired warrior, and he put it inside a box which he locked with a small key, and slid it into a satchel. As he did this Lady Isabella brought forth a square wooden box and opening the lid she withdrew the red pearl she had shown him earlier. She handed it to him. Storm Wizard thanked her, and took the red pearl and placed it into an inner pocket in his vest. Then the dark haired warrior took out a chain upon which hung a small triangular amulet. “Take this as well. It will protect you from a variety of physical attacks. Do not let anyone see it or know of it”, he said. “We must leave on urgent business now, Jonathan Bellowick. Remember your agreement and the vow you have made. We are depending on you.” And with that Lady Isabella and her man stood and bowed to Storm Wizard. He returned the bow, and without a further word followed the young handmaiden to the door, and returned to his room. He was filled with deep thoughts, but quickly fell into a deep dreamless slumber until morning. Elthos is a traditional style RPG Rules System that first made its appearance in 1978. The Mythos Machine is the web application that comprehensively supports the Elthos RPG with two major features. The World Weaver's Studio helps GMs with building their Worlds, and populating them with Places, Campaigns, Adventures and Things (Equipment, Weapons, Armors, Cultures, Races, Classes, Mystic Powers, Skills, etc). GamesMaster's Toolbox serves as number cruncher for Character Generation, Adventure Groups Management, and running Reports, the most popular being the Print World Report which produces a nicely formatted print out of your World, Places, Campaigns, Adventures, and optionally includes Character Stat Blocks, Maps, Images, and Campaign History. Elthos is my Art Form. Aspire to Inspire.